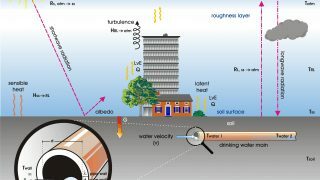 Research institutes KWR and Deltares are to investigate the effect of underground heat sources on the temperature of drinking water. The plan has been set out in a memorandum of understanding involving a range of organisations. The subsurface is becoming increasingly congested. It is therefore important to know what effect different heat sources (such as electricity cables or heat pipelines) have on the temperature of drinking water. Heat lost from these sources warms up the subsurface and possibly drinking water as well. As a result, the temperature of drinking water could rise above acceptable and legal values in the future. The study will also take higher temperatures due to climate change into account. 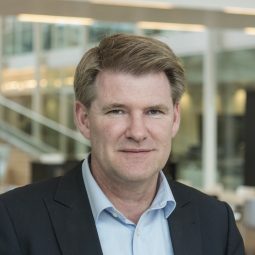 To investigate the extent to which drinking water is heated up and to produce design guidelines for the recommended minimum distance between drinking water mains and heat sources, an alliance was set up between KWR, Deltares, six drinking water companies, Alliander and EnergieNederland. All the larger district heating companies are contributing to this research through EnergieNederland. 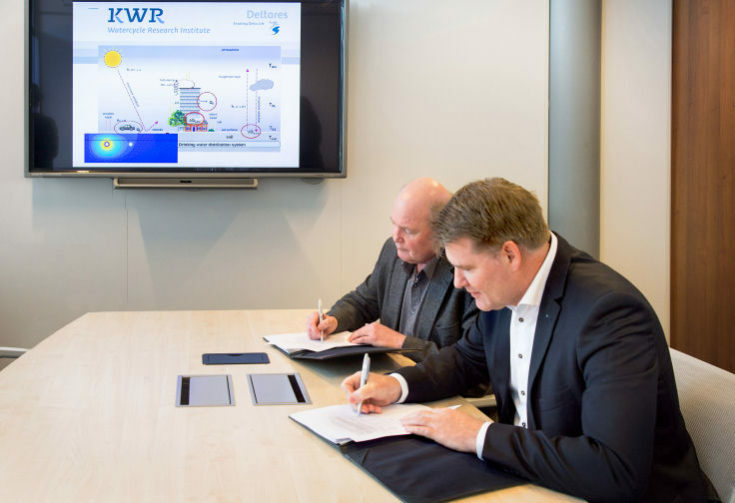 Wiel Tilmans (Unit Manager, Hydraulic Engineering, Deltares) and Idsart Dijkstra (Manager, Watersystems & Technology, KWR) sign the collaboration agreement for research on the influence of underground cables and heat pipelines on drinking water temperature. KWR will contribute its knowledge of drinking water distribution, drinking water temperature, and soil and field measurements in drinking water systems to the alliance. That knowledge will be combined with the knowledge contributed by Deltares relating to dynamic processes in the mains network and thermal processes in the subsurface. The ultimate result will be combined models that can calculate the temperature of the drinking water on the basis of various parameters such as soil type, distance to the heat source and the type of heat source. These models will be validated using field data. 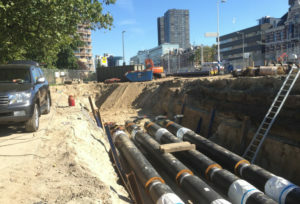 Ultimately, guidelines will be drawn up for the recommended distance between drinking water mains and heat sources in a range of frequently-encountered standard situations in the Netherlands. The project will establish a basis for a joint vision describing the expansion of heating networks and electricity networks in urban areas as part of the energy transition in the Netherlands. ‘The guidelines will help to protect drinking water supplies in the future’, says Wiel Tilmans. The research is being co-financed by the following organisations: Waternet, WMD, Evides Water Company, PWN, Dunea, Oasen, Alliander, EnergieNederland and TKI Water Technology.